Nobody wants to share their house with rodents they didn't buy at the pet store. 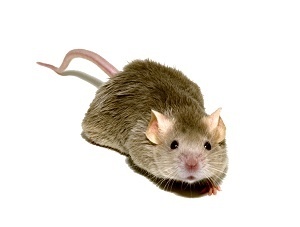 Mice and other pests can cause serious damage to your home, and they may also spread various diseases. For quick results, you should hire a residential pest control company to remove these unwanted visitors once and for all. In the meantime, there are a few other things you can try. It may be obvious, but any pests in your kitchen need food and water to survive. Unlike roaches, mice actually need a substantial amount of food every day. To prevent mice problems, you must store your food in containers that can be properly sealed. Mice don't have any trouble eating through cardboard boxes, but they can't get to your food if it's in Tupperware or glass containers. Mice are pretty smart, but they can't unlock your door and walk into your home. Instead, they're probably coming in through tiny holes in your exterior walls. It's also possible that they're using exposed piping to get in. If you want to stop future invasions, you must seal the entry points. You can use caulk to close up any openings around pipes and gaps near your windows. Incidentally, eliminating these entry points is crucial to prevent many other pest problems as well. To get rid of mice, there's really no way around the trap. While there are several home remedies people share on the Internet, none of them have been shown to work reliably. Mice aren't repelled easily because they're already used to the way humans smell. Trapping mice may seem cruel, but physical removal is the only way to truly get rid of them. If trapping mice is distasteful to you, that's understandable. Fortunately, you don't have to handle this yourself. A pest control service can set the traps and retrieve them for you, so you don't have to. You'll know when the mice problem is gone when you no longer see any droppings or other evidence.